Breaking News! A Gravesend Mystery Solved at Last! 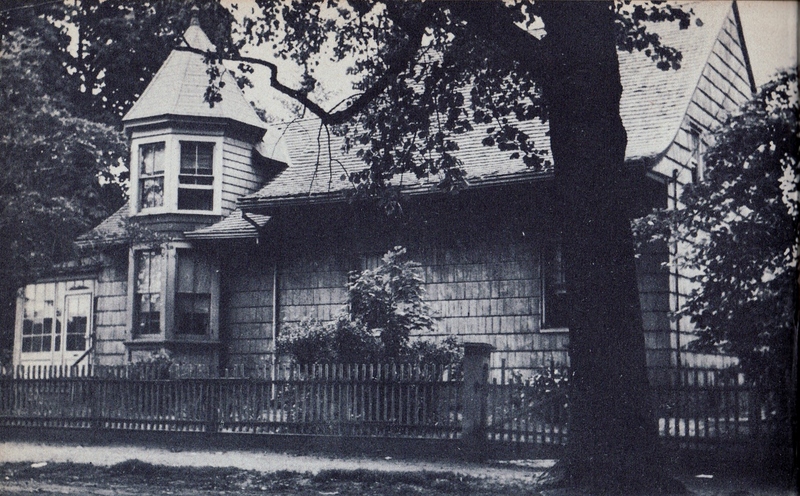 The “Victorianzied” street-facing facade of the Agnes Lake House, 420 [or 424] Gravesend Neck Road, from Maud Esther Dilliard’s Old Dutch Houses of Brooklyn (1945). Of the four, only the Agnes Lake House — named for the lady who occupied it from birth (about 1843) to death (1932) — bore the same dimensions as the house Saphier painted: a three-bay-wide Dutch portion linked to a lower wing, with a chimney between the two. The difficulty in claiming Saphier had indeed painted the Lake House was that I had only ever seen photographs of its north, or street-facing façade, which had been modernized in the 1890s by the addition of a towered dormer. I could find no view of the rear, or south-facing side of the house for comparison. Until now. The New-York Historical Society (N-YHS) continually digitizes and makes available online its unequaled collection of photographs, including the thousands of images taken by Eugene L. Armbruster (1865-1943), who captured practically every Dutch farmhouse standing in Brooklyn during the 1920s. He shot the Agnes Lake House several times, but while he was good about captioning his prints, he was less thorough with his negatives. N-YHS has scanned these too, and among them, a friend who is obsessed with Brooklyn’s Dutch past (to the degree he bought and restored this Gravesend house) stumbled across one with the supplied title of “back garden of unidentified Dutch-style house in winter, undated.” There is, however, a telling detail which immediately identifies this as the Agnes Lake House: just next to the chimney of the small wing, poking above the roof line, one can see that unmistakable Victorian turret (circled in red on the image below). Compare, too, the shape and position of the dormer windows in the photograph with those in Saphier’s painting (outlined in blue, along with the chimney, on the images below). They match. So do the door, windows, and porch of the main wing. 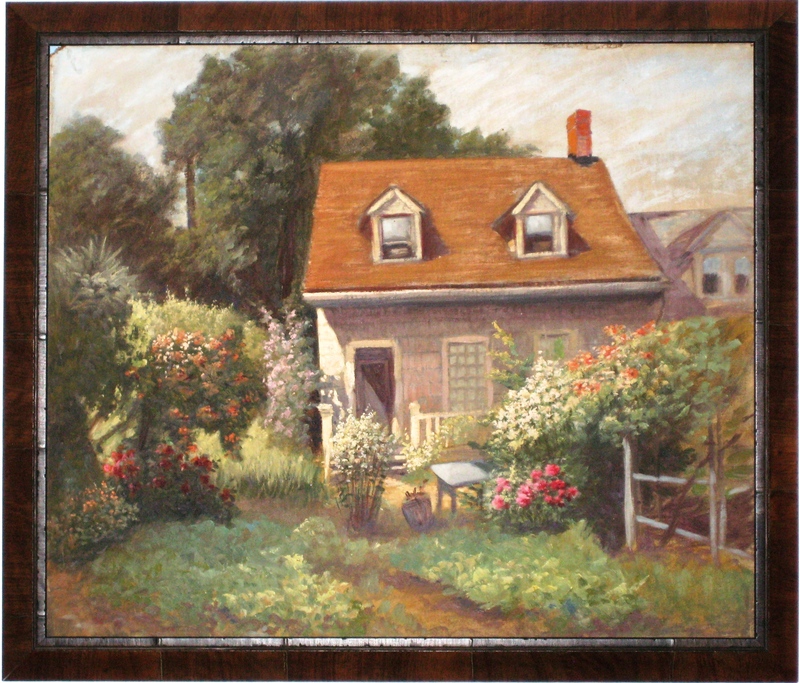 I feel confident, then, in stating that Louis Saphier’s “neck road farm house” of July 1942 was, in fact, the Agnes Lake House, which stood at 420 (or 424; the number wavered) Gravesend Neck Road between East 4th and 5th Streets. In her book Old Dutch Houses of Brooklyn, historian Maud Esther Dilliard placed its construction around 1832. Other sources suggest it was built as early as 1812. It seems to have disappeared sometime between 1951 — it is just visible in a blurry aerial view photographed that year (accessible at this link by clicking on “Map Type” and selecting “1951 Aerial”) — and 1956/57, when it was replaced by the row of seven brick houses currently standing at 410-424 Gravesend Neck Road. They were ready for occupancy on April 26, 1957. The houses that replaced the Agnes Lake House at 410-424 Gravesend Neck Road as they appeared in June 2012. Courtesy of Google Maps (https://goo.gl/maps/S7rrB). Hi Janet. I can’t say I’ve ever come across the surname Pye in connection with the Lakes of Gravesend. Can you tell me where, exactly, that picture of your great-grandmother on her porch appears? And was this the house on Van Sicklen Street and Avenue U? I don’t know of any major fires there, but I guess anything is possible!